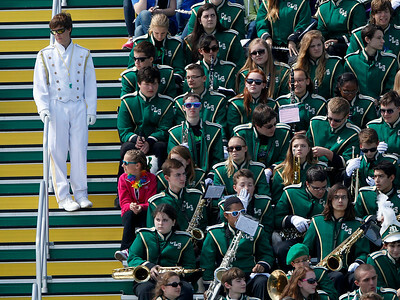 Matthew Apgar - mapgar@shawmedia.com Crystal Lake South's marching band waits in the bleachers to perform during halftime of their football game against Bloom Township on Saturday, September 12, 2015 at Crystal Lake South in Crystal Lake. 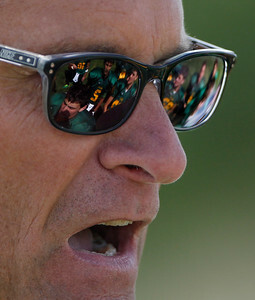 Matthew Apgar - mapgar@shawmedia.com Crystal Lake South players are reflected in the sunglasses of coach Chuck Ahsmann during halftime of their football game against Bloom Township on Saturday, September 12, 2015 at Crystal Lake South in Crystal Lake. Matthew Apgar - mapgar@shawmedia.com Drew Murtaugh of Crystal Lake South breaks up a pass intended for Zion Alexander of Bloom Township during their football game on Saturday, September 12, 2015 at Crystal Lake South in Crystal Lake. 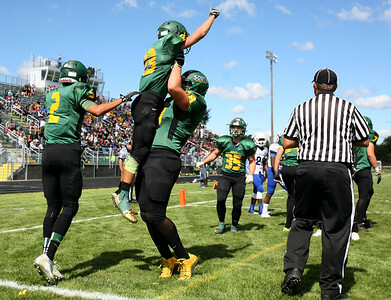 Matthew Apgar - mapgar@shawmedia.com Crystal Lake South's Corey Sheehan is lifted high into the air by teammate Kevin Amren after Sheehan scored a touchdown against Bloom Township during their football game on Saturday, September 12, 2015 at Crystal Lake South in Crystal Lake. 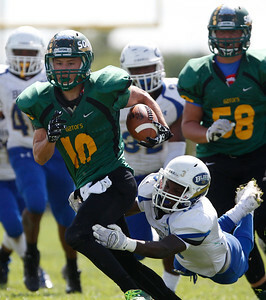 Matthew Apgar - mapgar@shawmedia.com Scott Couthlin of Crystal Lake South takes Joshua Johnson of Bloom Township along for a first down run during their football game on Saturday, September 12, 2015 at Crystal Lake South in Crystal Lake. 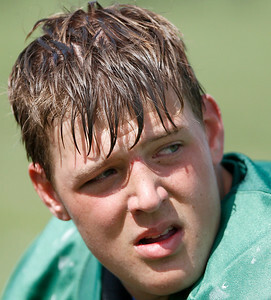 Matthew Apgar - mapgar@shawmedia.com Crystal Lake South's Trevor Keegan listens to his coaches during halftime of their football game against Bloom Township on Saturday, September 12, 2015 at Crystal Lake South in Crystal Lake. 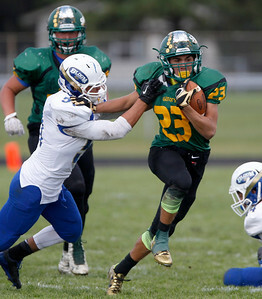 Matthew Apgar - mapgar@shawmedia.com Crystal Lake South's Corey Sheehan stiff-arms BenAnthony Johnson of Bloom Township during their football game on Saturday, September 12, 2015 at Crystal Lake South in Crystal Lake. 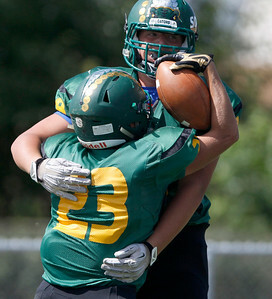 Matthew Apgar - mapgar@shawmedia.com Crystal Lake South's Trevor Keegan, back, congratulates teammate Corey Sheehan on a touchdown against Bloom Township during their football game on Saturday, September 12, 2015 at Crystal Lake South in Crystal Lake. 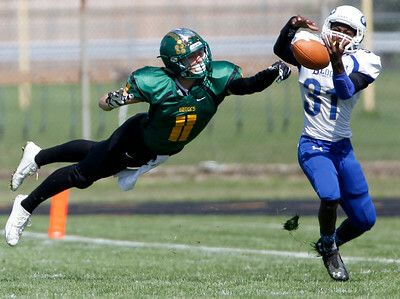 Drew Murtaugh of Crystal Lake South breaks up a pass intended for Zion Alexander of Bloom Township during their football game on Saturday, September 12, 2015 at Crystal Lake South in Crystal Lake.